Atlanta Dental Supply launches fiteBac SkinCare Germicidal Hand Softening Gel at the 100th Thomas P. Hinman Dental Annual Meeting March 22-24, 2012 in Atlanta, Georgia. The innovative hand sanitizer excited dentists as it sanitizes without the harshness of alcohol. Atlanta Dental was well pleased with the launch of fiteBac SkinCare Germicidal. The product generated a terrific amount of sales and interest at our booth. Atlanta Dental, founded in 1868 provides personalized service to dentists interested in understanding the latest and most advanced dental products on the market. Atlanta Dental proactively seeks new and better ways to meet the needs of dentistry by “thinking outside of the box.” fiteBac SkinCare Germicidal is one of those exceptional products of the future. Atlanta Dental featured fiteBac, as they believe it will not only change the way the dental world sanitizes, but will have an impact on the medical profession at large. Atlanta Dental placed an unprecedented amount of orders of fiteBac’s Hand Sanitizer at the Hinman. The product was touted in dental education meetings by esteemed speakers, and fiteBac had a team of people on the floor placing germicidal on attendees hands, allowing them to experience the difference. Experts from the fiteBac Company were behind the booth able to answer any advanced questions that arose from attendees wanting more information. fiteBac SkinCare Germicidal is an “out of the box” futuristic product. Traditional methods of hand sanitizing with alcohol burn skin, and with repeated use leaves the skin in poor condition, creating hand hygiene compliance issues. “It is important to the public at large, that dental, medical and hospital facility employees have germ free hands. No one wants to get sick from a visit intended to create health,” says Dan Kearney, COO, fiteBac SkinCare LLC. 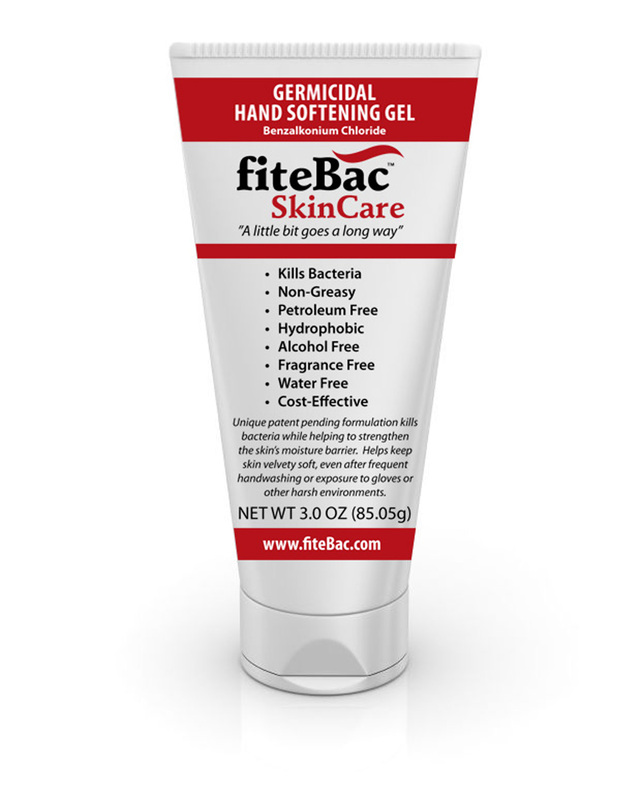 fiteBac SkinCare Germicidal is expected to change the way the world looks at hand sanitizing. “Atlanta Dental was well pleased with the launch of fiteBac SkinCare Germicidal. The product generated a terrific amount of sales and interest at our booth. We expect the product to do well,” says Gary Kirkus, CEO of Atlanta Dental Supply. About fiteBac™ SkinCare, LLC and KHG: fiteBac SkinCare, LLC is a subsidiary company of Kimmerling Holdings Group, LLC (“KHG”), a Georgia-based biotech company that has developed an antimicrobial platform intellectual property technology. KHG was founded in 2009 by Dentist in Marietta, GA Kirk Kimmerling, DDS and Dan Kearney. The two set out to create products to "change the world, one product at a time." Kirk and Dan first targeted bacterial issues in dentistry, knowing that solving those problems would lead to dramatic improvements in oral health, and more importantly, systemic bodily health. They engaged a team of highly accomplished chemists and scientists retired from Fortune 500 companies and researchers from major universities. In doing so, KHG has developed technology with several patents pending that has application well beyond dental materials, and has exciting potential in medical, plastic, composite, coating and other applications that are in various stages of development, some close to commercialization. fiteBac SkinCare Hand Softening Gel is the first product to be released under the fiteBac brand name.